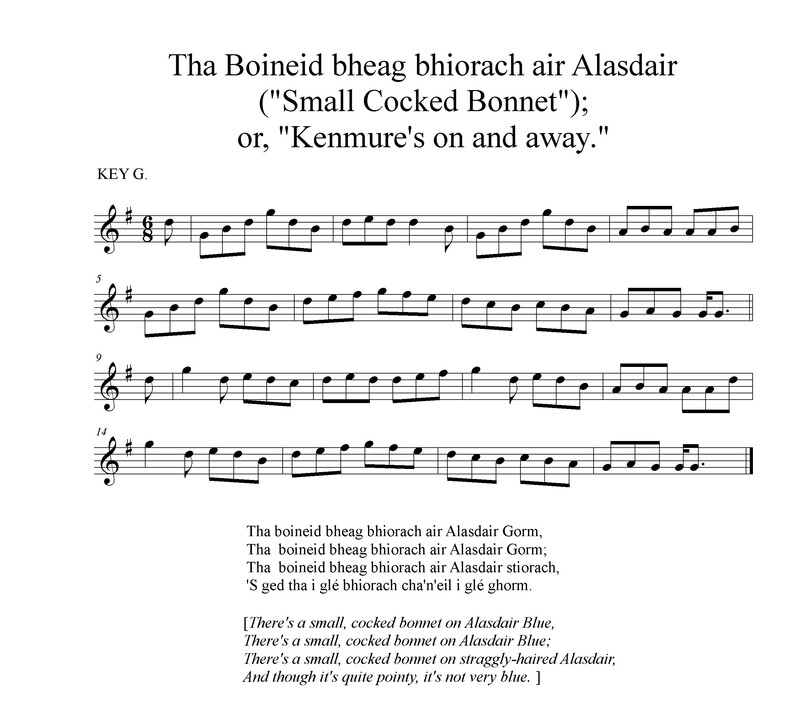 “Dannsa na Boineid,” or the bonnet dance, was something like an everlasting jig, or eightsome reel. 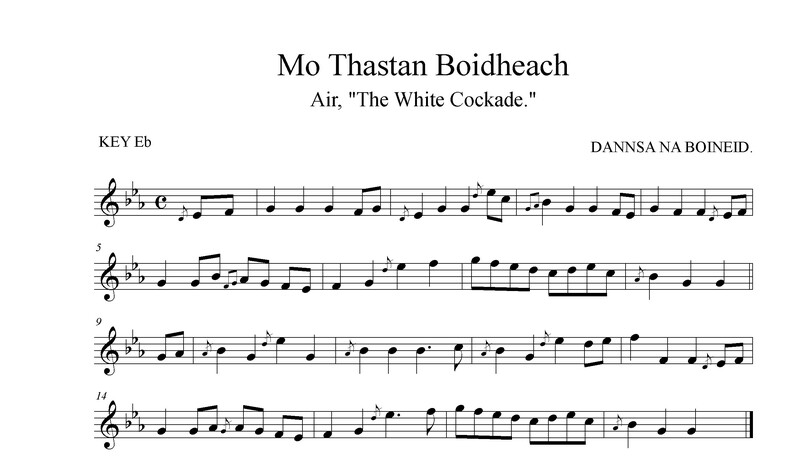 A bonnet was thrown upon the floor, when a young swain took it up and danced with the lady of his choice, who, in her turn, danced to another favourite partner, and so on until the whole company had a turn on the floor; the words sung being ‘Mo thasdan bhòidheach, mo thasdan gheal.” In modern times “the bonnet dance” has been performed to instrumental music, to the air of “The White Cockade,” and generally for the last dance at a wedding or ball. 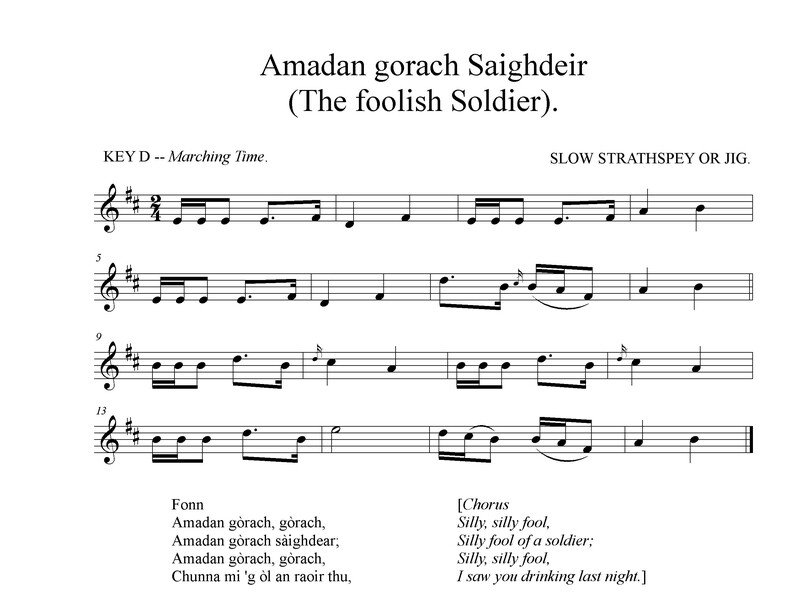 The song relating to the foolish soldier warns him that he was seen drinking the previous night. The words are probably more than a century old, and the air older still. These “puirt” were sometimes allegorical, at other times describing facts or peculiarities, and sometimes ironical. The best are often those having a double meaning, or ridiculing someone. When meaningless words were attached it was to accord with the rhythm of the music. 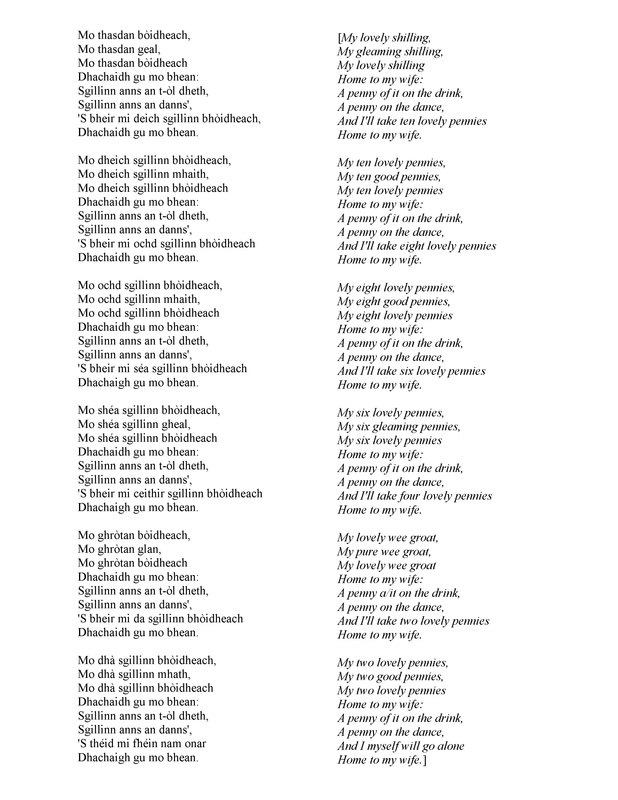 “Thubhairt an Luchag” is one of the old songs. 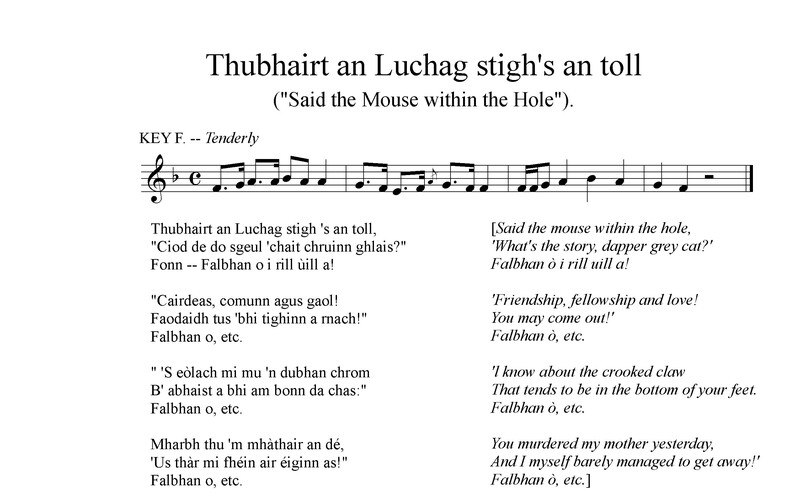 It describes a conversation between a mouse in a hole and a cat outside trying to entice the mouse to come out by pleading love and friendship. The mouse replies that it knows well the crooked hook that used to be in the cat’s paws, and accuses the cat of having killed its mother yesterday, and nearly caught itself.